Gummy worms top these cupcakes because that’s how my boys roll! 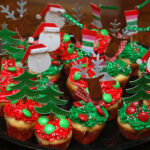 Make a box mix cupcake-yup, I did!!!! 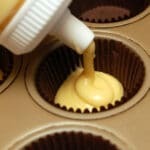 Top with canned frosting-yes,yes! It’s okay!!! 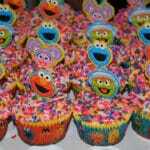 Add some sprinkles and gummy worms and make your childen very happy! 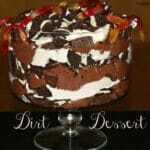 You could frost it with chocolate frosting & then sprinkle crumbled Oreos or chocolate cake crumbles on top to simulate dirt. 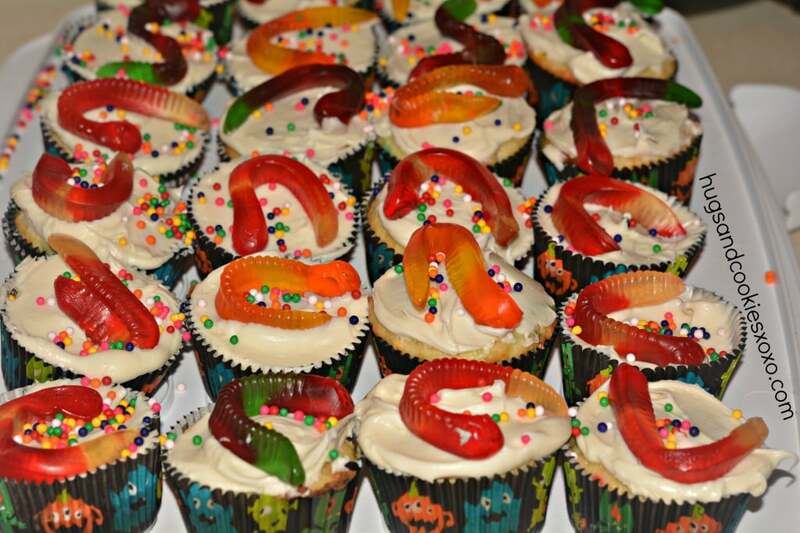 The Gummy Worm Cupcakes look awesome & kids really go for things like that.